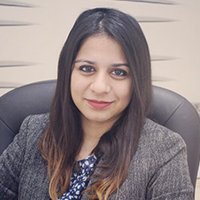 Dr. Vandana Verma, Dermatologist at AK Clinics has 3 years of experience in Dermatology and Hair restoration surgery. 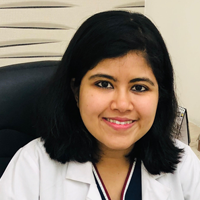 She completed her MD Dermatology, Venereology and Leprosy from Mahatma Gandhi Mission Medical College, Navi Mumbai and M.B.B.S from Padmashree Dr. DY Patil Medical college. She has also pursued Fellowship in Hair Transplant under Dr. Alex Ginzburg from Israel. 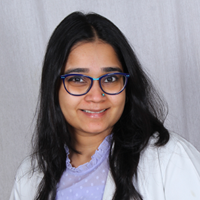 “EFFICACY OF AUTOLOGOUS PLATELET RICH PLASMA FOR THE MANAGEMENT OF CHRONIC LOWER LIMB ULCERS” - Under the guidance of Dr. Hemangi R Jerajani. Over the course of years, she has learned the art of Dermatology, Cosmetology and Hair transplant. She has attended multiple workshops on vitiligo surgery, laser, aesthetics, PRP, urticaria and surgical suturing. She has participated actively in conducting clinical trials in management of psoriasis and contact dermatitis. 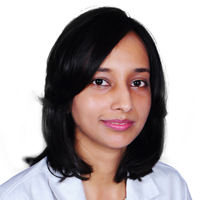 She is also a member of Indian Association of Dermatologists, Venereologists and Leprologists. 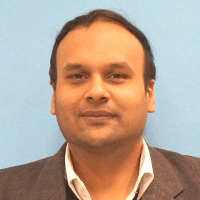 Award Paper presentation on Efficacy Of Turban PUVASOL in management of Alopecia in Pediatric group – A Case series at ‘TRICHOLOGY UPDATE 2017’ at Mumbai. Free Paper presentation on Efficacy Of Turban PUVA In Hair Disorders.- A Case Series Of 4 Patients at ‘MID DERMACON 2017 – 5th Mid-term conference of IADVL’ at Navi Mumbai. Poster presentation on ‘Bilateral Nevus Of Ota With Unilateral Nevus Of Ito. A Case Report with Detailed Dermoscopic and Histopathological Correlation‘ at ‘MID DERMACON 2017 – 5th Mid-term conference of IADVL’ at Navi Mumbai. Poster presentation on Immunotherapy with tuberculin PPD for Condylomata acuminata at ‘DERMACON 2017’ at Kolkata. “Drug utilisation and self-medication pattern of antifungal drugs in dermatology outpatient department of a tertiary care hospital” (International Journal of Basic and Clinical Pharmacology ISSN No. 2279-0780 index Copernicus value : 100(2017), journal DOI: 10.18203/23192003).